Earn 345 loyalty points when you order this item. 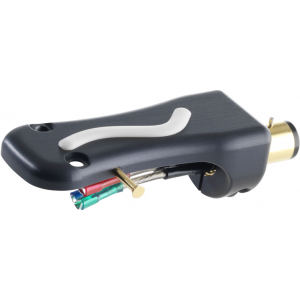 Ortofon LH-10000 headshell is a high end upgrade for your tonearm, made using a high performance aluminium alloy with zinc as the primary alloying element. The design and mechanical dimensions of LH-10000 offer an elegant and virtually plug and play solution between one of these Ortofon High-End cartridges and our TA-110 and TA-210 tonearms. The aluminium alloy is strong, with strength comparable to steel. The headshell has good fatigue strength and machinability, but offers more resistance to corrosion than many other Aluminium alloys. The LH-10000 features a precision machined slit on the top plate in which a piece of Ortofon's special proprietary TPE compound with excellent damping properties is integrated into. 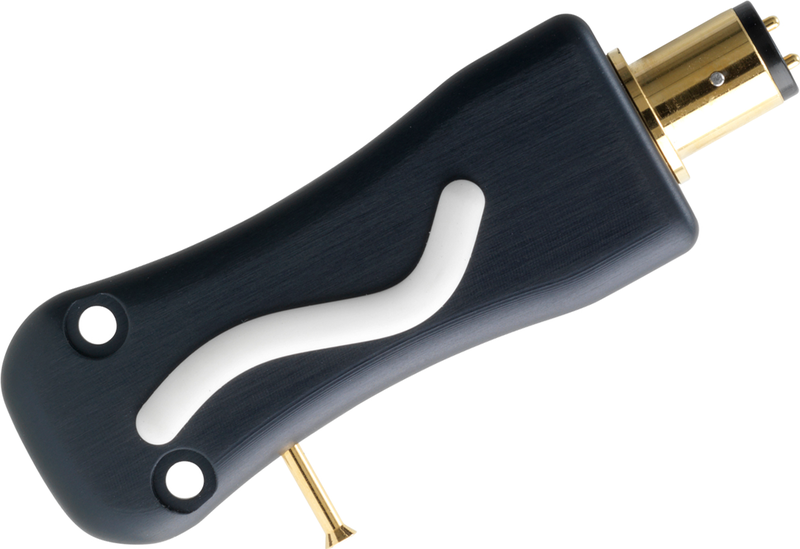 The headshell incorporates damping technology similar to the Ortofon TA-110/210 tonearms and Ortofon Xpression cartridge, promoting a further reduction in unwanted resonances. The LH-10000 is fitted with the set of the most sophisticated lead wires identical to Ortofon LW-800S, composed of pure silver and silver coated wire, beacuse of the high use of silver the coated wire transmits the very clear high tone signals, which brings brilliant tonality. The LH-10000 is azimuth adjustable, which is beneficial for optimal channel separation. LH-10000 is perfect for a variety of High-end cartridges, including the new Ortofon MC Anna, MC A90, MC Windfeld, Cadenza Series cartridges as well as the historical Jubilee and Kontrapunkt Series.